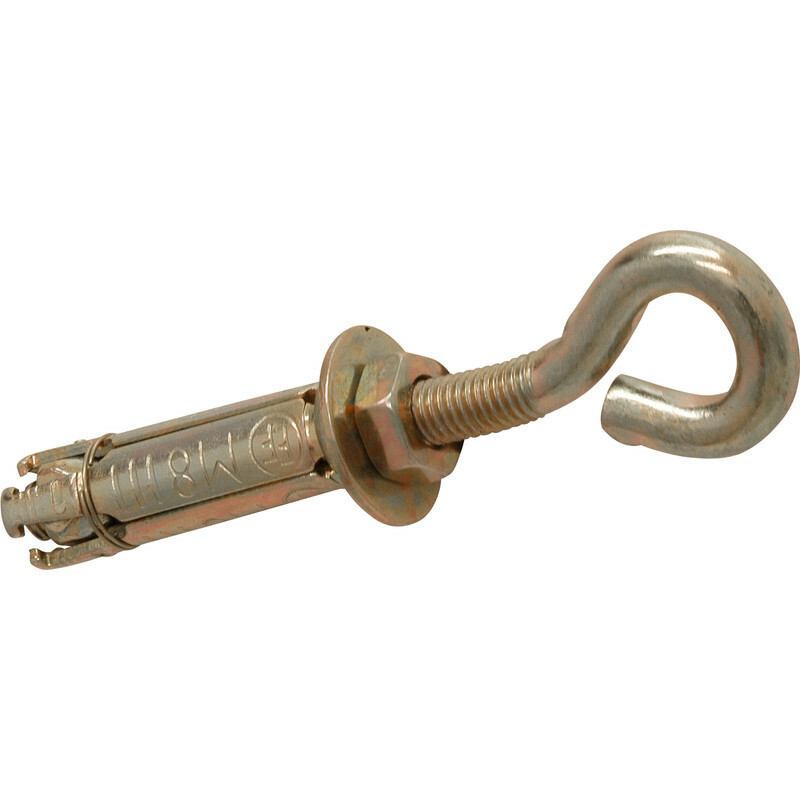 Masonry Anchor Eye M8 (10 Pack) is rated 4.8 out of 5 by 6. Rated 5 out of 5 by Topcat22 from Good value for money Used in conjunction with some bungee ropes also from Toolstation to secure wheelie bins to a brick wall. Job complete and successful. Rated 5 out of 5 by Chickenman from strong Bought these to secure wires supporting a wisteria who's weight broke the previous fixings. These are good value although I only really needed four so would probably have preferred to be able to buy them individually. The M8 eyes are very robust and easily supported the tensioned wires. Rated 5 out of 5 by Benny from I only needed the eyes I needed some decent eye bolts and put aside the masonry anchor. Seems daft that this is the cheapest way to get some decent eye bolts, but they are perfect for what I wanted and will use the anchors with some M8 bolts in the future. Rated 4 out of 5 by Alex in Derby from Did the job. Did job. Once sleeve is fitted in wall though be warned, it isn't coming out easily so make sure your drilled holes are right first time. Rated 5 out of 5 by Darenp from Spot on Really good value, what more can I say.